Happy 75th to one of the Patron Saints of Texas, next to Sam Houston, Stephen F. Austin, Buddy Holly, and Bob Wills. 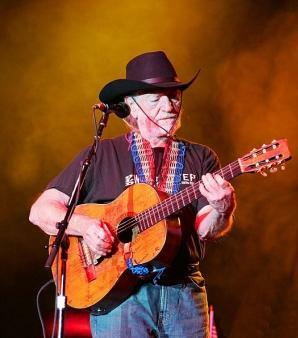 Be sure to listen to KUT‘s retrospective on Willie’s storied career as well as a fascinating interview with Willie’s biographer and Texas Monthly writer, Joe Nick Patoski. The interview answers a question I have long had as well regarding why some news accounts place Willie’s birthday on April 29th instead of the 30th. Apparently, Willie was born sometime after 11 P.M. on the 29th, but the attending physician, “Doc Sims,” did not sign Willie’s birth certificate until after midnight. In honor of Willie‘s upcoming 75th birthday, KUT‘s Texas Music Matters has produced an hour-long documentary of the legendary musician set to air this Sunday at 11 AM. Beginning on his birthday, April 29th, the documentary will be available to download here. 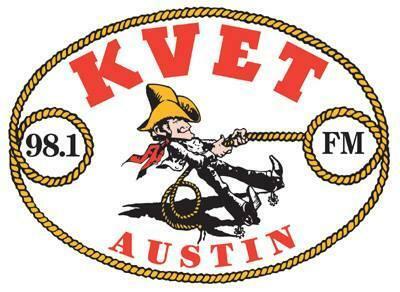 Last week, the venerable KVET morning show relaunched after the untimely departure of Sammy Allred from its airwaves with the ingenious pairing of former U.T. running backs coach Bucky Godbolt with KVET veteran Bob Cole. After Sammy left KVET this past fall and Erin Hogan left the Buck on Sports back in January, my mornings just hadn’t been the same. I’m glad to report, however, that while I was and still am sad to see both Sammy and Erin go, the new pairing of Bucky and Bob is fantastic. They really complement each other, and I think the mixture of sports and Austin politics both broadens the show’s appeal and cements its ownership of the niche. I look forward to listening to these two for many more years to come. Governor Perry, who just announced he’ll likely run again in 2010, stopped by the show yesterday to chat with Bucky and Bob.